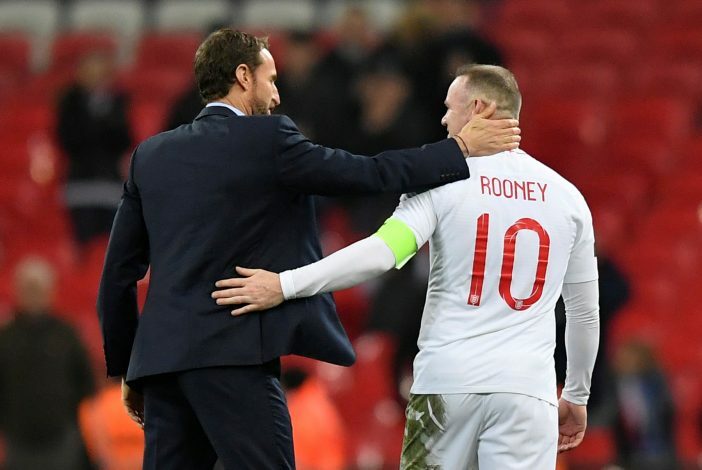 England’s legendary forward and top goalscorer, Wayne Rooney, made his 120th and final appearance for the Three Lions in their 3-0 win over USA on Thursday. The Manchester United legend replaced his former Red Devils’ teammate Jesse Lingard just before the hour mark, and was greeted with a standing ovation by the Wembley crowd. While he almost made his mark on the game – his low shot in added time being saved by US goalkeeper Brad Guzan – there is no denying the fact that Rooney has definitely left a major mark on English football. Naturally, tributes began rolling in after the player’s final appearance in the famous white shirt, with manager Gareth Southgate being the first one to praise the veteran striker the humility shown by him on his last international duty. “He has been brilliant, the time he has given to all of the players, the little conversations he has had with the younger ones,” Southgate pointed out (via Evening Standard).